The 2003 American Silver Eagle Coins showed a large decline in the number of bullion coins sold, but also a vast improvement on the proof versions. Aiding the Eagle sales, the silver market started to show a healthy improvement during the latter half of the year. In fact, the precious metal consistently traded at over the $5 per ounce mark in the last four months of the year resulting in monthly averages which had not been seen since the year 2000. The precious metal increased almost 5% from 2002 and ended up at $4.88 for the year. 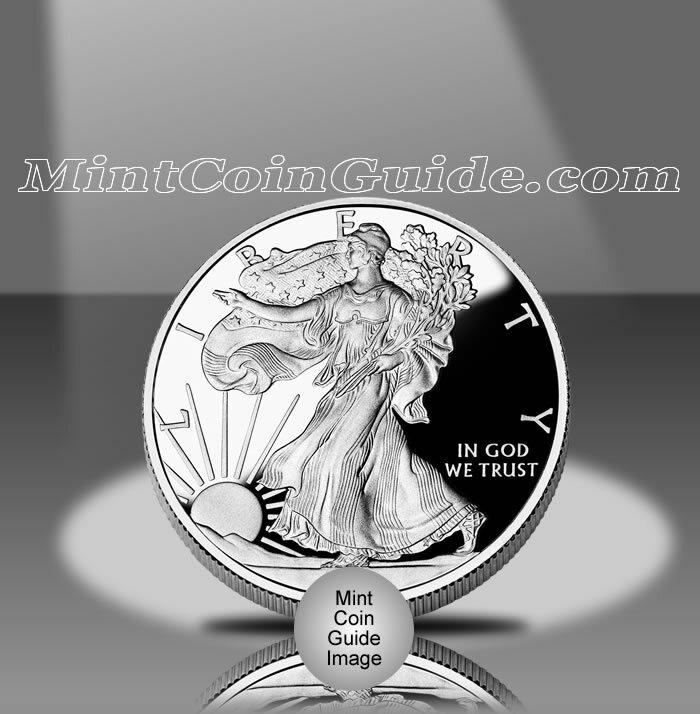 While not officially issued until 2004, the US Mint created a "Legacies of Freedom United States and United Kingdom Silver Bullion Coin Set" which included a 2003 American Silver Eagle Bullion Coin as well as a 2002 Silver Britannia Bullion Coin. Bullion Eagle mintage showed a drop for the year and came in at 8,495,008. This was still a very respectable number, but paled in comparison to the results of the previous year which had attained the second best bullion mintage up to that point. Consequently, the 2003 Eagle mintage was down 2,044,018 coins, or 19.4%. Proof Silver Eagle Mintage for 2003 showed a very healthy increase from the previous year and came in at 747,831. This was a jump of 100,489 coins or 15.5%. Aiding the increase was a larger mintage cap put in place by the Mint of 750,000. The 2003 Silver Eagles marked the eighteenth year in which the strikes were available from the US Mint. Proof Silver Eagles were released by the US Mint on April 2, 2003. Bullion Eagles were available for most of the year. The Mint did not change the price it was charging for the Proof Eagles from the previous year which kept it at $24 per coin. Bullion Eagles were available from the Mint’s network of authorized purchasers for a small premium above the spot price of the silver contained within them. The US Mint struck both the proof and bullion Eagles at its facility in West Point, New York. The proof coins show a ‘W’ mintmark while the bullion coins do not.